Observation - Snipe_13-04-04_01a - UK and Ireland. 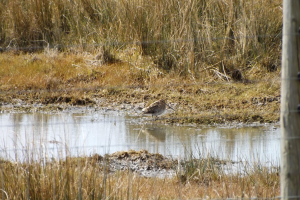 Description: Observed at Goldcliff Lagoons, Newport South Wales. This was one of three feeding in small pools near to the hide. Observed at Goldcliff Lagoons, Newport South Wales. This was one of three feeding in small pools near to the hide.